What is your overview of the economic climate in Ethiopia and your outlook for 2014 and onward? The economic climate for Ethiopia, especially in the economic and social sectors, is very positive. Ethiopia has been growing for the last six or seven years, shown in the GDP growth. The country made a plan for growth and transformation for a five year period. 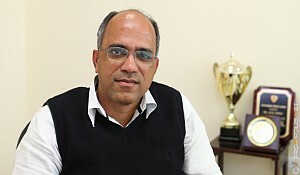 The plan is to have more or less two-digit growth for the next two years as well as the past three years. So, I see a positive trend whereby the private sector participates more. We are seeing some changes in the policies throughout the private sector. Especially in our area, which is the construction sector, we are seeing positive things. Can you give us a brief history of Derba Cement and the things you have accomplished recently? 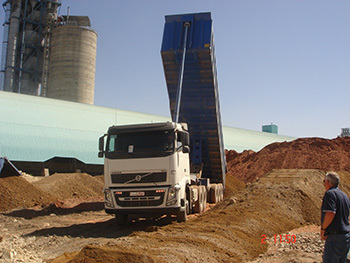 In the past, prior to 2002, Ethiopia’s development was not very good and the need for different raw materials which are inputs in the construction sector was not high. But after the changes in the policy, the construction sector started to grow and demand started to increase in all areas in the construction sector. Prices started to go up and there was no supply. In 2002, the price of a ton of cement was 550 Birr and suddenly it started to go up to 600 Birr or 650 Birr. We did a study seven years ago in which we showed the increase in demand was 30 to 35%, so we wanted to participate in this area. We did a study of Ethiopia’s demand that showed the GDP grows by 1% and the demand for cement grows by 1.2%. So, Ethiopia has been growing by two digits. Even though it is 1.2 times the GDP, the cement demand grew by 35%. Therefore we invested in the cement plant and it has cost us 151 million Birr. We saw this growth and at the same time the supply. We also saw that the transport sector is very, very weak and the transport sector makes more than the factories. So we bought about 1,000 trucks and starting after the commissioning of our plant in February 2012, we started to provide one service including transport and cement. We offer door-to-door delivery and with our good quality of cement and low price, we have dominated the market. Derba Cement (Midroc Group) is now the cost leader as well as the price leader. Demand is growing around 22 to 23% and with different regional policies by the government, we see high demand. We are planning to build a second plant with the same capacity. The present capacity is 8,000 tons per day. We have a plan to build an identical plant in the same location. We foresee a good future for the company as well as for the country. We offer door-to-door delivery and with our good quality of cement and low price, we have dominated the market. We are now the cost leader as well as the price leader. What is your market share as far as Ethiopia and what other markets are you planning to start exporting to? We have about 52% of the market and the remaining companies have the remaining 48%. 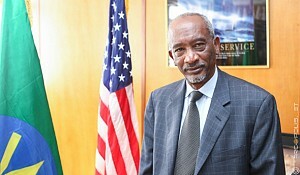 Presently we are concentrating on Ethiopia but I feel that in the market around us, because all neighboring countries are growing, we will see a lot of construction there. We see peace in Somalia and the same thing with South Sudan – there is a lot of demand in Sudan and in the future probably even Eritrea. So, if there is stability and peace within our neighboring countries, the market potential is very high for us and that is why we are starting a second line in the next two years. With the increased demand for cement, particularly with the construction of the Renaissance Dam, are you expecting the prices to become higher? With the Renaissance Dam and other dams like Gilgel Gibe III and Gilgel Gibe IV, and with the potential to build other dams on the upper part of the Nile, we see the demand growing. Since there are other new cement plants coming, the price will remain stable where it is now or probably go down a little bit. So, yes it will go down but since we have a good profit in this area, I think the rate of return will not be highly affected. Otherwise there will be a lot of competition coming from new entrants as well as the existing competitors as we start to dominate the market. What type of revenue are you achieving as far as the cement and do you have any plans for expanding into other products? Our revenues are around 150 million US dollars per year but we are not selling our cement at capacity at present. But when we reach our capacity, our revenue should be around 210 million US dollars from the cement. We want to expand. We started with lime / gypsum and other products which should be coming in the next year. Since we are part of the construction industry we also want to go into the steel market. Ethiopia imports about 750,000 tons of steel from outside the country and the current local capacity is only 150,000 tons. So we are planning to put in place a 1.3 million tons per annum steel plant northeast of Addis Ababa. With this market and this new investment, the construction sector will be in a very good position. The price of steel will also go down when our plant is completed as the cement went down from 5,500 Birr per ton to 2,200 Birr per ton. We will do the same marketing for the steel; the international market for steel is going down but in Ethiopia the price of the steel market is going up. This doesn’t match so our target is to make the Ethiopian steel parallel with the international steel market. We have achieved this with the cement and I think we will achieve this with steel as well. 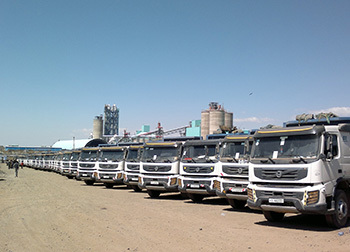 How many players are there in the cement market in Ethiopia and because of the high profit margin in this industry, aren’t you looking into buying out other competitors? Yes, there are 18 or 19 competitors but there are five main ones. The remaining companies are medium to low capacity. Everybody wants to dominate the market. If the opportunity arises, yes we might create a bigger company by buying out our competitors but our competitors have the same logic or direction in expanding their business. It depends who will dominate the market and who will dominate the price and especially the cost. Are there are any other products such as bricks or anything that is related to the construction industry that you might look at expanding into? We are doing a study right now. We want to form a big real estate company. As you see in Addis Ababa, there is a lot of real estate construction. We want to go into the cable business as well because currently Ethiopia imports more than 50% of its requirement from outside. We also want to go into the tile business but we are doing a study. If we want to put thought into investing in one thing, we want to invest in order to solve a problem. We don’t want to deal with only part of the problem in an area but deal with the whole problem. For example, with steel, they took this requirement and said it’s 900,000 tons. We are putting 1.3 million tons in the first phase and we have a second phase that will come after five years. Unless you solve the problem 100%, the cost of living in Ethiopia will not go down because everybody wants to maximize profit. If we put in a 500,000 tons steel plant, we are solving part of the problem but we are not solving the total problem so prices will not go down. Our logic is to bring down the prices to international prices. So we will be investing in areas where there are big needs. We want to be big players in the construction sector. Since we are part of the construction industry we also want to go into the steel market. Ethiopia imports about 750,000 tons of steel from outside the country and the current local capacity is only 150,000 tons. So we are planning to put in place a 1.3 million tons per annum steel plant northeast of Addis Ababa. The construction industry needs a lot of components such as glass panes. Are those also areas that you are studying? We study these areas as well but one competitor, a Chinese competitor, came in and built a glass plant. So at this moment in time, we are waiting until the demand goes up because for now this Chinese plant meets the requirement. Goods coming from China are very cheap as well. The glass factory cannot compete with imported glass from China and India or even Turkey. So I see opportunity but we need time to see when the demand grows and when the demand requires another investment in these areas. We are studying opportunities and where there is a gap, we want to fill that gap in a better way to surpass the requirement which we already did for five years to come. What are some of the challenges that might face your industry going forward? Skilled labor is a challenge. There are no grounds for training so you have to train and give the skills to the people. Professionals with good experience are also scarce in Ethiopia. Twenty years ago there was one university and now there are more than 13 universities. Students graduate but their experience is zero so you have to take them and train them. They are apprentices for more than two and a half years so in that time you have to bring professionals from abroad so you can run your plant to the maximum capacity; otherwise, your rate of return will be low if you don’t produce to the maximum capacity. For cement, we have imported an operator who does the maintenance as well. The people from Ethiopia are apprentices even though they are graduates from universities and colleges. So professionals and technicians are the key problems, not only in our investment area but in other sectors as well. What is your vision for Derba? Where do you want to see the company moving forward? Derba was formed to produce cement, but now we are about five or six companies. In the future we want to grow and we want Derba to have a 100 billion Birr revenue. 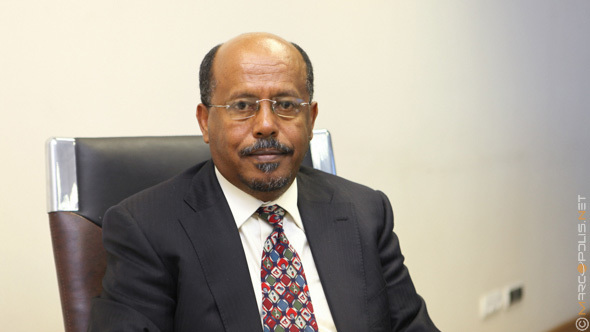 We have reached four or five billion Birr with the coming of the steel plant there will be another 40 billion birr. So in the next three to four years, our growth will be very high. It will be about a 50 billion Birr company but in the ten year period we want to be 100 billion Birr company, thereby contributing a lot of money for the government and a lot of foreign currency. I see a positive trend and as long as there is a continuous change in policy by the government, we will grow as a company and as a country.